From natural disasters to technological failures, there are many problems that affect your business. If you’re not careful, a single event could cause terrible repercussions for your company. There are plenty of events that you have no control over and cannot prevent. There’s nothing you can do to stop a hurricane or a power cut. However, you can always take precautions to minimize the impact of anything that happens. It’s always best to address these things in advance. If anything does happen, your business will be prepared. Follow the guidance below to protect your company from various disasters. The first step to protecting your business is to perform a risk assessment. This allows you to catalog any potential threats to your business. These could be anything from natural disasters to changes in the economy. Every business faces different hazards, depending on a range of factors. For example, location plays a role when it comes to dealing with hazardous weather. It also makes a difference with disasters such as earthquakes or wildfires. You also have to consider your market and what threatens businesses in your industry. You can perform a risk assessment yourself or assign someone in your company to do it. However, some companies prefer to outsource the task. This helps you to get a professional perspective from someone with experience. It’s not always possible to prevent a disaster from occurring or to prevent any damage. It’s best to ensure you have insurance to protect you from various problems. A decent insurance policy will help to cover the costs of anything going wrong. It could cover your business premises if they are damaged. It might help to pay for costs if you suffer a security breach or other problem. It’s important to make sure you have enough insurance coverage for your business. This involves both checking the amounts your insurance will pay out and the circumstances it covers. You don’t want something to happen, only to discover that your insurance won’t help you. Most businesses have to deal with some kind of natural hazard. For some, it might be a few storms or a bit of snow. For others, it could be wildfires, earthquakes and even the volcanic eruptions. It’s important to be aware of the risks in your locale and how you can protect your business. One of the best ways to do this is to learn from other businesses. There are companies in your area that have been established longer than you. They are experienced in dealing with these things. No matter what the natural disaster is, there are some universal precautions to consider. For example, you should have an emergency plan and a contingency plan. They will help you to deal with anything that happens in an organized manner instead of panicking. You can also consider practical solutions, such as installing a backup generator. This can help to keep your business going during a range of different incidents. Some businesses need to be ready for the possibility of earthquakes. You should know if your business is one of them. You have probably learned how to deal with earthquakes as an individual. But managing a business can be a little harder. Staff training can be a significant part of preparing for an earthquake. When you have a number of people in the same office or building, you need everyone to keep calm. However, there are also some more simple steps you can take. For example, ensuring you anchor furniture and other fixtures to the wall, floor or ceiling is a good idea. Flooding is a problem that can occur almost anywhere. Even places that don’t expect it to happen can end up with a flooding problem. Unexpectedly large volumes of rainfall can cause a number of problems. The banks of a river might break, or drainage in a town could be poor. Flooding can cause huge amounts of damage to people’s homes and businesses. It can be difficult to prevent water from entering your business. However, you can take steps to minimize damage. For example, you can raise electrical components from ground level. This will help to ensure they aren’t affected by flood water. You can floodproof basements to help keep them in better condition. If there is a risk of flooding, you might use barriers such as sandbags to prevent water entering. Wind can come in several potentially damaging forms, from strong blusters to hurricanes. A lot of damage could be caused by winds for a number of reasons. Often it’s not the wind itself that causes problems, but objects that it picks up. If there are things that are not secured, they can go flying and damage your business premises. Or the wind might be able to knock down a tree, which could land on your property. Removing or securing anything that could become a missile in the wind is a good start. You should also protect doors and windows using storm shutters or other methods. Roofs may also be affected by high winds so it’s important to consider the style of your business’s roof. When it comes to fires, they could pose a threat in a couple of ways. Some fires may come from inside your business premises. However, in some locations, you have to worry about wildfires. These can occur during the summer when land and vegetation are dry. You don’t need to have a rural business location for them to effect you. There are different ways to prepare for these two types of fire. Staff training again plays a role so that everyone knows what to do in the event of a fire. Having an alarm system and perhaps sprinklers will alert people of possible fires. Your alarm could even automatically contact the fire department. It’s important to perform a risk assessment of fire hazards in your company and how to manage them. External fires could pose a risk to your business in several ways. Even if a fire is far away, it could be a disaster when coupled with high winds. Glowing embers and debris could enter your business. Using fire-resistant materials on your business premises will help to prevent fire. You can also protect your business using fire-resistant shutters on doors and windows. It’s also important to be aware of any evacuation orders if wildfires become a problem. A breach in your business’s security can also be a disaster. A breach in security could mean someone breaking into your business premises. However, the more dangerous risk is that someone can steal your business’s data. You might risk losing sensitive business information. Or someone could even steal the personal details of your customers. There are lots of things you should be doing to protect your businesses data. This is on top of securing your business premises. It’s important to be educated about how to protect your data. You need to know the best ways to safeguard it, especially when it comes to sensitive information. For example, you can use software that encrypts your data or prevents any data loss. Of course, you should protect your premises too. You can use methods such as security cameras and alarms. Another way you could experience a data disaster is due to a natural hazard or a technological fault. If your servers go down, it could be terrible for your business. You need to take steps to prevent data loss and backup any important information. Fortunately, you can easily find an IT solution to address the problem. Remote backup can be part of your disaster recovery plan. 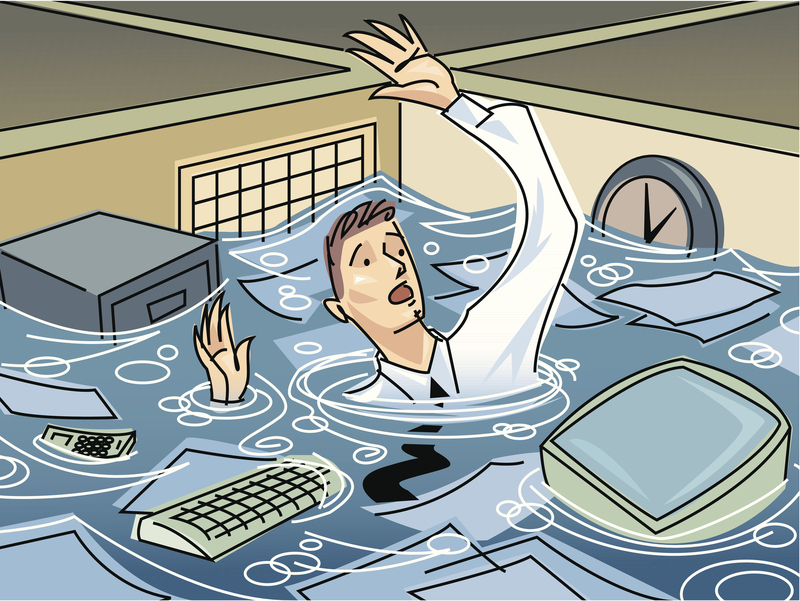 You should make disaster recovery planning a priority to help protect your company’s data. It will help to improve business continuity so that your business can keep going after something happens. Some disasters are bigger than others, and you have no control over them or their effects. When the economy takes a hit, many businesses feel like they can’t do anything about it. However, it is possible to make it through tough times, especially if you’re prepared. After the recent recession, many businesses are being more cautious about protecting themselves. There are many precautions you can take, and it’s a good idea to consider several of them. Diversifying your products and services is one way to protect your company during a recession. It’s also a good idea to have a plan for how to handle tough times. For example, many businesses cut their marketing budgets. However, what you should do is increase your marketing spend to attract more customers. You should also plan to make the most of your loyal customers. If you have a solid plan, you’re less likely to panic and make silly decisions. Any type of disaster could hit your business and have a negative impact. Preparing for them can help to prevent them, as well as minimize their impact.